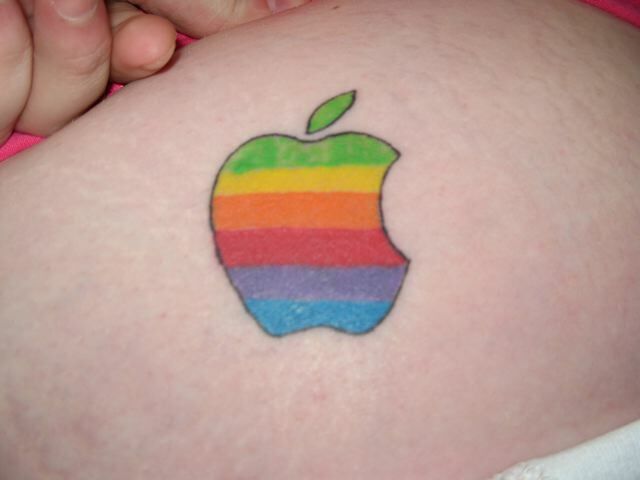 I can’t believe it, I thought I’d seen it all, but no….. We’ve just met Jemma here in the queue and she has a tattoo of the original Apple rainbow logo – Yes, the multi-coloured Apple logo is placed on her left hip. Well it’s in the bag! We have Leopard…. oh and the T-Shirt. Congrats to our new friends Ben and Jemma on their new iMac purchase – they’ll love it. Just got home, and my 12 year old son is chuffed with his new T-shirt – let’s be honest, it’s been a good while since I’ve been in a size medium. OK I should have checked, but did kinda presume the Apple store rep would be able to tell I need at least a Large one. Anyway, enough whining – lets get installing. So the Apple store staff kindly brought coffee out for us – but someone kindly nudged his back and the 1st cup of coffee went all over the floor… and our feet! Well, not entirely surprised that most of the people passing the Apple Store didn’t know about Leopard being let out. But considering the hype MS give to Windows releases it was a good turn-out. More importantly, people are actually wanting to upgrade, unlike Vista – which I have heard people actually want to downgrade, is that possible? Did anyone think to get Jemma some therapy? 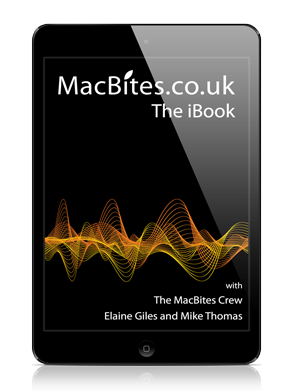 A tattooist would have been more use as Jemma’s got a whole range of ideas for more Apple related art!! Hahaha, I love my tattoo! Just about as much as I love my Macbook Pro, which is a hell of a lot. I have another planned, I thought it would be fun to use the spaces feature and make four small apps into one tattoo, but we’ll have to see how that comes out. Big Dave I have to love what you say!